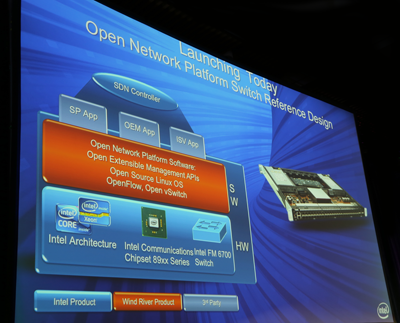 Intel introduced three platforms for software defined networking (SDN) and network function virtualization (NFV). 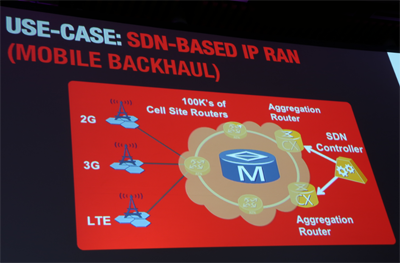 At the Open Networking Summit in Santa Clara, California, Huawei introduced an SDN-based mobile backhaul solution based on its CX600 series aggregation router, ATN910 series cell site router (CSR), and U2000 Network Management System (NMS). The solution is the outcome of a joint innovation project between Huawei and the China Telecom Guangzhou Institute. The newly added SDN features include the capability to support a massive number of cell site routers (ATN910 series) managed as a virtual cluster by centralized SDN controllers embedded in the aggregation routers (CX600 series). The SDN controller provides a centralized control plane for the cell site routers, performing centralized path calculation, service provisioning, and traffic control. The addition of the U2000 system provides a graphical user interfaced (GUI) based unified NMS for the cell site and aggregation routers. Based on these products, the SDN-based Mobile Backhaul solution effectively provides plug-and-play, auto service provisioning, smart traffic steering, and auto trouble shooting capabilities for a large number of cell site routers. Early tests have shown promising results with service provisioning efficiency improvements of 85% and over 50% reduction in network alarms. "Huawei is committed to helping our customers achieve business success through innovative technology solutions. Our progress with SDN technology demonstrates Huawei’s practical and effective leadership within the Carrier SDN industry." said Mr. Gai Gang, President of Huawei Carrier IP product line. Huawei has developed a Virtual Residential Gateway in an OLT. This SDN use-case was developed in partnership with Telefonica, which is currently testing in Spain. 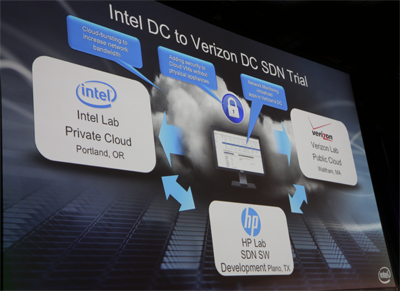 Another SDN use case involves Cloud Data Center Interconnection. Huawei is developing this capability with China Unicom, which operates nearly 200 data centers. 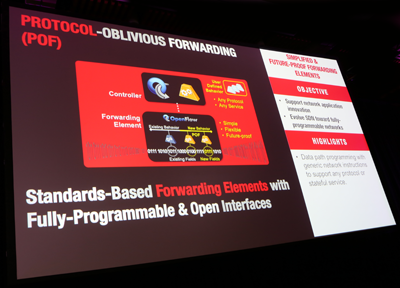 Huawei's newly announced Protocol-Oblivious Forwarding aims to achieve data path programmability with generic network instructions and open interfaces. Nuage Networks and Red Hat are collaborating to certify an OpenStack Quantum plug-in for Red Hat’s planned enterprise cloud management solution, Red Hat OpenStack. Quantum is an OpenStack project to provide “networking as a service” between interface devices managed by other Openstack services. 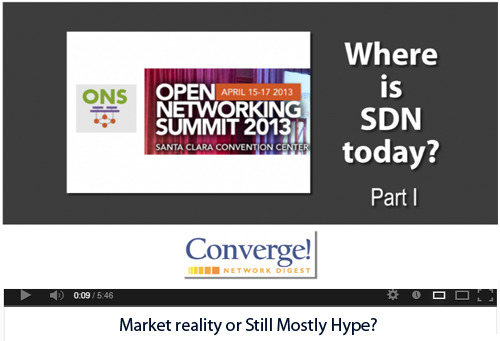 Video: Where is SDN Today? Industry leaders share their views on where Software Defined Networking stands in the market today. Is it still just hype or have real use cases emerged? What are the prospects for SDN in the coming year? Is it truly transformative? Speakers were asked to keep their responses to about a minute. The Open Networking Foundation (ONF) outlined its technical roadmap to drive the commercialization of open, standards-based SDN. The ONF said its emphasis in the coming year will be on "building the OpenFlow substrate to meet market needs, including standard approaches to configuration, management, security, and transport. In addition to providing the foundation on which SDN value is built, the OpenFlow substrate supports the virtualization of many network functions. Thus ONF will continue to work closely with the ETSI network-operator-led Network Functions Virtualization (NFV) Industry Specification Group (ISG). Introducing the Migration Working Group to make recommendations on guidelines, systems, tools, and metrics for migrating to an OpenFlow network. Introducing the Optical Transport Working Group, a group driven by telecommunications providers and focused on optical WANs and the interconnection between services that network operators offer and cloud companies provide with an emphasis on quality of service (QoS). Adding nine new thought leaders to the Research Associates roster, bring the total to twelve. Research Associates are selected for participation privileges in ONF based on their contributions to the creation and advancement of SDN and the OpenFlow protocol. The ONF has appointed Rick Bauer to the position of technical program manager to oversee the technical roadmap. Telefónica España is testing an agile optical transmission system from Alcatel-Lucent that carries 100 Gbps/200 Gbps/400 Gbps while adapting to different speeds, distances and spectrum. The trial, which ran over Telefónica's live network in Spain, demonstrated the capacity of Telefónica España existing network to operate at different combinations of line rate, reach, and spectrum width to provide the best balance between network performance and resource usage. Telefónica España is testing the ability to augment network capacity and resilience based on dynamic allocation of resources in the network putting the capacity where it is most needed at a particular time. Alcatel-Lucent said its agile optical networking technology more than doubles an operator’s fiber capacity without having to invest in additional optical fiber infrastructure. This trial demonstrated the capacity of Telefónica España network to scale up by a factor of 2.66 to 23 Terabits per second (Tbps) in a single fibre pair. "The future integration of 400 Gbps in our core network will enable us answering with optimum quality our clients’ ever growing demand for more bandwidth. Solutions that make the best use of our existing infrastructure, like the photonic mesh technology demonstrated in this trial, are how we will maintain our lead in the marketplace," stated Manuel Fernández Daza, Director Access, Aggregation and Transport Networks Technology and Planning at Telefónica España. 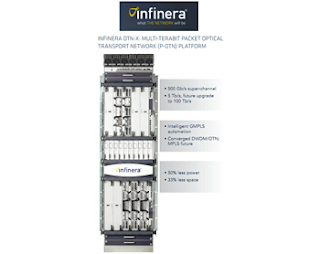 Interoute confirmed the deployment of the Infinera DTN-X platform, featuring 500 Gbps, long-haul super-channels, across its Pan-European network. Interoute’s Pan-European network connects 102 cities in 30 countries and includes 21 dense city networks (MANs) in Europe’s major business centers and nine subsea landing stations. The carrier's fiber network serves every major European national telecoms provider, as well as major operators in North America, Africa, east and south Asia and the Middle East, including major mobile operators, ISPs, governments, universities and research agencies. The Infinera DTN-X delivers 500G super-channels based on its Photonic Integrated Circuits (PICs) and FlexCoherent processor. It offers five Terabits of non-blocking OTN switching per bay, scalable to 240 Tbps in a multi-bay configuration, resulting in more efficient utilization of the 100G waves when compared to conventional WDM architectures. Infinera also said its Bandwidth Virtualization simplifies service deployment, enabling Interoute to deploy networks in days and services in minutes thereby lowering operational costs. "The DTN-X helps us win in the marketplace," said Jonathan Wright, Vice President, Service Provider at Interoute. "Speed to deliver services is key in our industry. Infinera's solutions have enabled us to deliver anywhere from 10Gb/s to 500Gb/s capacity quickly and allows us to efficiently provision services, as the market dictates." "The DTN-X continues to gain traction across the globe because customers are realizing the benefits of investing in an optical transport solution that converges OTN switching and WDM transport in the same chassis," said Chris Champion, Vice President, EMEA Sales. 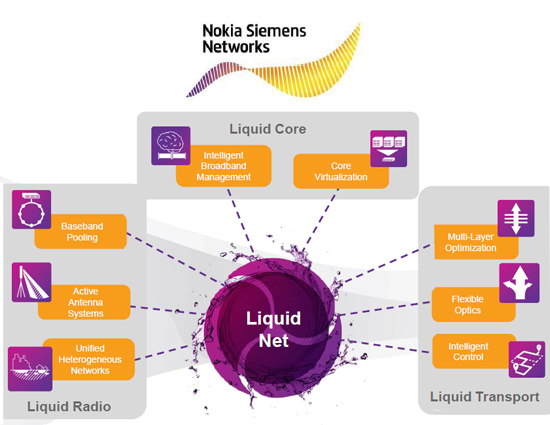 Singapore's M1 has selected Nokia Siemens Networks to implement its Liquid Core platform and radio network and to refarm GSM 900 MHz frequency to expand its 3G network. 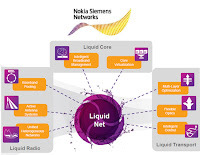 Under the contract, Nokia Siemens Networks will provide its Single RAN with Flexi Multiradio Base Station, coupled with its Multicontroller RNC and Liquid Radio software. As part of the Liquid Core portfolio, the company will also provide its ATCA-based open Mobile Switching Center Server (MSS) and open Media Gateway (MGW) to ensure the resiliency and operational efficiency of the operator’s voice core network. This modernization will ensure an all-IP network for M1. Financial terms were not disclosed. Globe Telecom, one of the leading telecom operators in the Philippines, has selected Polaris Wireless' OmniLocate universal location platform to and refresh its Location-Based Services (LBS) capability. OmniLocate is a software-based wireless location solution that can be deployed on a standard server inside the wireless operator’s network. OmniLocate can be configured to include Wireless Location Signatures (Polaris WLS), a patented implementation of the 3GPP standardized RF Pattern-Matching (RFPM) location method, which provides high-accuracy location, especially in urban areas and indoors, which makes it uniquely suitable for the densely-populated Philippines market. Polaris Wireless noted that this contract is the fifteenth deployment of the OmniLocate platform outside the US, the fourth in the Asia-Pacific region, and the thirty-ninth worldwide. 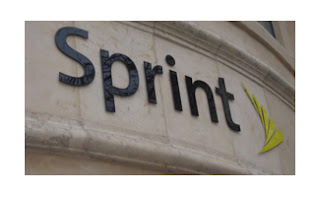 Sprint announced new managed network solutions bundled with MPLS transport and customer premise equipment. The offering includes network design, proactive performance management, CPE monitoring and service level agreements. ARRIS Group has created a new holding company structure in order to facilitate its pending acquisition of the Motorola Home business from a subsidiary of Google, which ARRIS expects to close Wednesday, April 17, 2013. The business operations of the company and its subsidiaries will not change as a result of the reorganization.